At last, PCS orders have arrived, and you're heading to Colorado! If you’re like most people, the idea of moving to Peterson AFB is a nothing short of a dream duty station. The area is flush with outdoor activities including the Olympic Training Center and numerous day trips to find adventures throughout the region. To secure Colorado Springs at the top of the list of favorite places, you’ll need a fitting home to appreciate the views and outdoor living opportunities. MilitaryByOwner’s Homes of the Week offer the ideal properties for taking advantage of everything the transition to Peterson AFB has to offer. Colorado living includes plenty of time spent outdoors. The sunshine and blue skies are plentiful throughout the year, so outdoor space is a key feature to shop for. With space to spare, both the front porch and back yard have the ultimate in entertaining and recreation area for the next home buyers. Snuggling up to fire pits during the fall and spring months offer not just warmth, but ambiance for family to reconnect over s’mores. 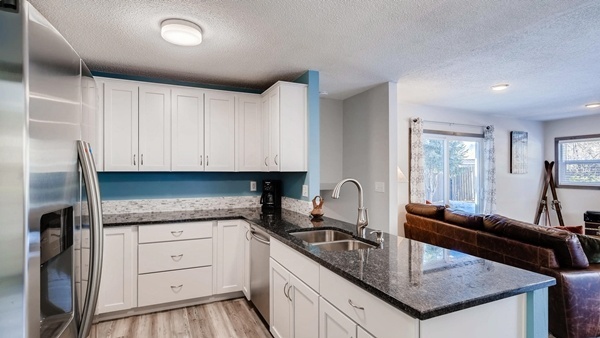 Inside, a renovation added refinished hardwood floors, an updated kitchen that shows off new cabinetry, counter tops, and appliances. Fresh paint accentuates the airy feeling found throughout the house while new carpet ups the cozy factor. Buyers who move to Colorado often fall in love with the idea of a secluded mountain cabin, but struggle with the lack of amenities that come with the isolation. This home in Colorado Springs provides the best of both worlds: a tucked away and heavily wooded lot that provides privacy and a central location that provides easy access to work and a traditional lifestyle. The living spaces in the house have quintessential Colorado living elements. A formal sitting area has a grand ceiling with gorgeous beam work, while the main level gathering space is treated to the warmth provide by a gas fireplace. It also has easy access to the back patio and a multi-level wraparound deck. 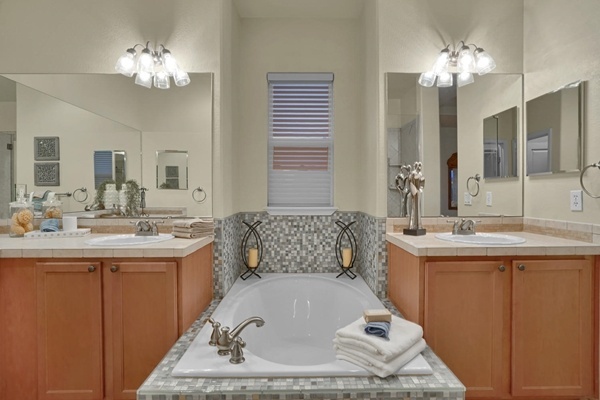 An enviable master suites provides dual vanities, a walk-in closet and roomy shower. On the lower level, two more bedrooms are available in addition to a second fire place. 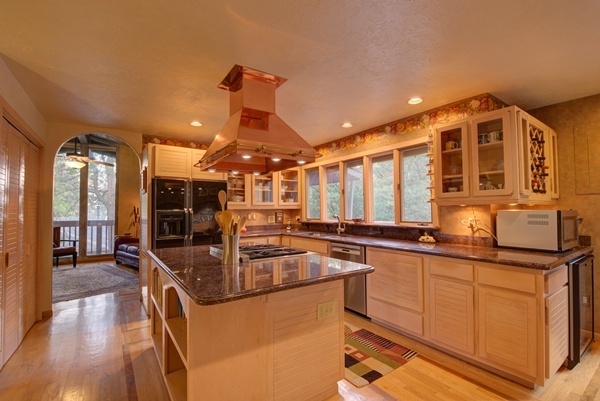 Mountain views--that’s what the people are looking for! This home does not disappoint. Nor do the epic sunrise and sunset views. A generous and landscaped ¾ acre lot is ideal to spread out and enjoy the vistas, either surrounded by a few loved ones or in the midst of a lively party. The back yard space is waiting for the next buyers to make it their own. Inside, the amenities and finishes rival the outdoor scenes. Soaring ceilings capture an abundance of natural light and the flowing floor plan allows for flexibility, accommodating a multitude of uses. The gourmet kitchen boasts maple cabinets, butler’s pantry, a spacious island, and custom Trend Glass stone counter tops. Five bedrooms and four bathrooms accommodate a wide variety of family sizes. But, the office and rec room offer the ability to offer guests even more space. Copious storage is found throughout the house, but if more is needed, the option to use the insulated three-car garage is available as well. Many service members jump at the chance to head west to Colorado, for many good reasons. 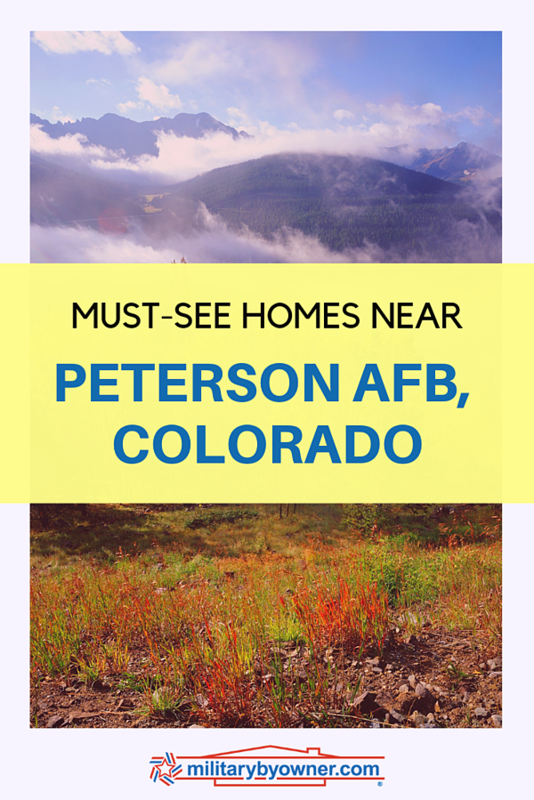 These homes offer plenty of options for families large and small in addition to their attractive commute distance from Peterson AFB. For more Peterson AFB home advertisements, both for sale and for rent, rely on MilitaryByOwner to provide excellent leads for finding your next home!